Google AdWords is the largest advertising platform that has ever existed in the history of the world. Seems like a good place to start when launching a new advertising campaign, right? Remember when your mom asked you the other day, “How come I didn’t see your business on Google?” You thought, “I better figure this AdWords thing out.” You opened an account and have been giving money to The Google ever since. You’re probably scared to death you’re going to burn through all of your hard earned dough—a legitimate concern. You probably think you know what keywords or search terms to target, but are you certain? You don’t really know what to expect or what kind of return you want to get out of this, but you know you want to make some money and rule the world. The AdWords interface looks really scary. (It does, and it’s even more intimidating than it was 5 years ago). That’s what was going through my head six years ago. Since then, I’ve built and launched hundreds of AdWords campaigns in a wide variety of markets, with a huge range of budgets, and with varying degrees of difficulty. 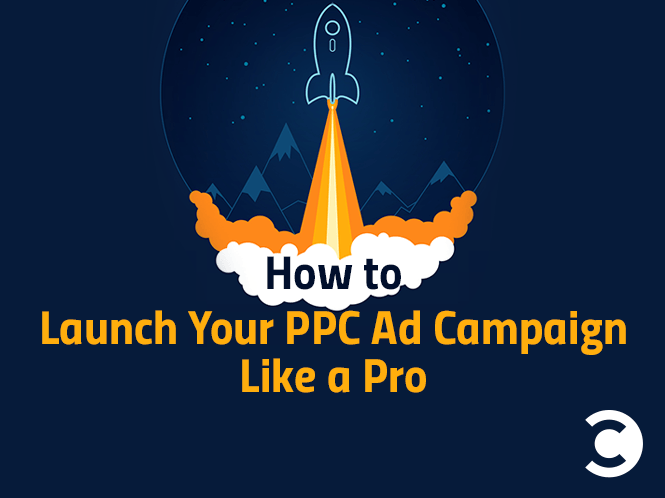 I’m here to show you how to successfully launch your campaigns like a pro. Believe it or not, it is easier than you think. There are a lot of creative online advertising platforms, but since Google is currently the biggest, we’re going to focus on that platform to launch our new campaigns. For the purposes of this article, we are also going to focus on the Search platform in AdWords (not the Google Display Network). Get ready for a quick run-down on how to succeed with AdWords quickly, profitably, and easily. Are you trying to sell a product or service? Are you trying to collect leads? Are you trying to make the phone ring? Even though an email address, a phone lead, and a sale are three different things, they each represent an outcome we want to increase. We should measure how effectively our advertising dollars produce these desired outcomes. In order to measure effectiveness, we should determine our target Return on Investment (ROI), Return on Ad Spend (ROAS), or Cost per Acquisition (CPA). This step is not to be overlooked. Peter Drucker has been attributed with the saying, “What gets measured, gets managed.” We need to measure our ROAS. Here are some quick and easy calculations to help you determine a target ROI. Cost per Action (CPA): How much are you willing to spend to capture a specific objective? If you are willing to spend $20 to make a $100 sale, then your target CPA is $20. Anything less than $20 is acceptable, and anything above $20 is too much and needs to be fixed. ROI or ROAS: If you need to make $5.00 for every $1.00 you spend, then your target ROAS is 5.0, or 500%. Not coincidentally, this comes out to be the same CPA on a $100 sale, as our example above. $20 x 5.0 (ROAS) = $100. There are multiple tools you can use for keyword research and competitive analysis. I’m a big fan of SpyFu.com, but you can use SEMrush, KeywordSpy, and others. If you want to go the “free route,” then try out the AdWords Keyword Planner. The easiest way is to choose two to three competitors who seem to be “doing a good job” with AdWords. Then, drop those competitors into SpyFu.com (their tool is called Kombat). Kombat will spit out a list of keywords that all of your competitors are bidding on. Save that list—we’ll use it later. I’ve got two words for you: do it. Don’t spend a single dime on AdWords until you are tracking your objectives. It is as simple as that. All of the ROI and ROAS stuff we’ve talked about is moot if you’re not tracking leads, revenue, phone calls, or transactions. It is relatively easy to set up, but if you can’t do it, have your web developer do it, or hire someone on Elance. Each campaign you create has some basic settings, and there are some pretty simple defaults that work well in most cases. Search Network Only: All features. Always separate out your Search and Display campaigns. Locations: Choose the location you want to target. There are some really cool (and helpful) advanced tricks you can use by adding geo-locations (add all of the states, if you’re in the US), adding cities if you are a local business, etc. There is an “advanced” location that allows you to target annual household income, too—you heard it here first! Bid Strategy: I always choose to set my bids manually. I also like to “enable enhanced CPC.” You can also create a “flexible bid strategy,” but you need at least 15 conversions for your campaign over a 30 day period. Budget: Choose a high daily budget. You don’t want your ads to stop running because you run out of budget. You want to adjust your spending based on ROAS, not on an arbitrary budget. Ad Extensions: Always add sitelinks, call extensions (if you take phone calls), and callout extensions, which are different than call extensions. Ad Scheduler: I LOVE using the Ad Scheduler. I have some very advanced ways of bidding on day of week and time of day that are beyond of the scope of this article, but if you set it up now, you’ll be happy later. Ad Rotation: I like to choose “Rotate evenly.” You can test two ads, and if you forget to change it, Google will automatically serve up the winner. Boom goes the dynamite! Your campaign is created with good, default basic settings. Over the last five years, I’ve changed my account structures frequently, but here’s a time-tested way to set up your account when you’re first starting out. Break your campaigns out by location (US, Canada, Australia, etc). Put all of your “search” campaigns into one campaign. I like to add a search term like +golf +clubs (a modified broad match) into one ad group. This casts a wide net. Then, for each modified broad ad group, you also have an exact match ad group with a lot of exact terms. Your exact match ad group will have many keywords, and your modified will only have one. This is good for keyword extraction and control of your account. In addition, always try to keep a consistent naming convention. This is the heart and soul of your account. Spend time and effort creating ads that stand out. You want your ad to resonate with your audience. You want it to be different from your competitors. You want someone to want click on your ad so bad, they can’t even stand it. When creating ads, don’t neglect the Sitelinks, the Callout Extensions, Review Extensions, and more. Those help add valuable real estate to your ad copy. This can be the most difficult thing to do. However, there’s a trick to setting good bids right out of the gate: Take your estimated conversion rate, and multiply it by your target CPA. Mind-blowing! Here is how it works: Our example CPA from earlier was $20. Take $20 times your conversion rate—let’s say it is 2%. $20 x 0.02 = $0.40, which means our bid will be $0.40 for this CPA. That is the absolute most we can pay if we have a 2% conversion rate, and we want to stay under a $20 CPA. I like to set all of my bids at the keyword level, but you can start out at the Ad Group level and adjust as you go. Obviously, adjusting bids can be time consuming, but it is one of the most important things you can do. However, if you are managing your campaigns by ROAS or CPA, it is pretty easy. Just look at the ROAS or CPA of each keyword, and adjust the bids by the necessary percentage. This is just the tip of the iceberg, but you can take this information, build on it, and have successful AdWords campaigns running in no time. If you want or need more information, check out my extensive series on PPC that is free for the taking. In addition, the AdWords support pages are relatively helpful, as are the thousands of blogs out there related to AdWords. Travis is an eCommerce expert, building a business from zero to $60,000 per month. He recently teamed up with eCommerce platform provider Spark Pay to produce an extensive FREE guide to PPC management.